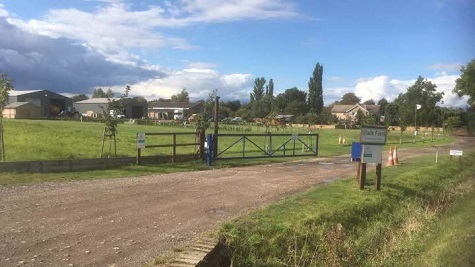 Slade paddock is an ideal location for Ely (5 miles). There is also a regular bus service within a short walk from the site. Other places of interest within close driving distance are Cambridge 15 miles, Newmarket 12 miles and Peterborough 25 miles. 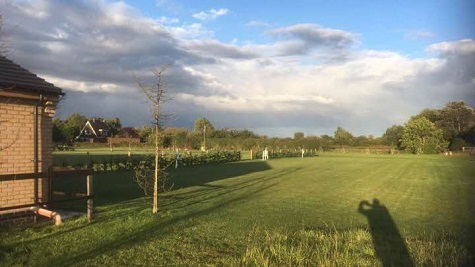 The area offers many different and scenic walks for ramblers and directly across the road from the site there is a dog walking track for those bringing pets. This site is on a small working family farm. Facilities : Electric hook up available, Easy access, Suitable for Caravans and Motorhomes, Grass and Hardstanding pitches, Scenic views, Toilet, Shower, Dogs allowed, Laundry facilities, Disabled facilities, Rally field available, TV reception good. We had a lovely relaxed stay friendly welcome clean and tidy, well laid out, lots of space, good access and dog walk. Highly recommended for Ely and Cambridge. A lovely CL with wonderful facilities makes this an ideal site to explore the surrounding area. The site is spacious with an immaculately kept, modern washblock with toilets, washing up room, shower and a TV room. All this and a gift of homemade chutney! The phone controlled electronic entry gate worked well and although Trevor was away at the time, he had texted us all the information we needed. We used the site to explore the area including Ely, Cambridge, Denver Sluice (nice pub) and Hunstanton. Definitely a site to return to. Fantastic welcome from the owner Trevor which included a jar of complimentary home made chutney, nothing was too much trouble for this most helpful friendly site owner. 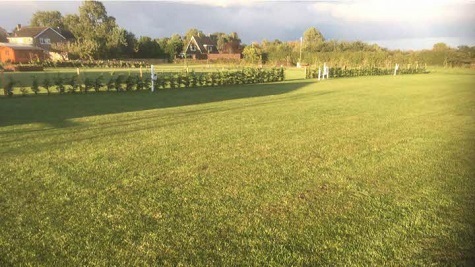 The site was immaculately kept with grass so close cut it was more like a lawn than a grass pitch. The site is huge and I mean huge, which means plenty of space for caravans and awnings to spread out. The toilet block is always beautifully kept and they include disabled toilets and shower. Fabulous views from the site and walks nearby make it a pleasure to go back to the site after a hard day exploring the countryside towns and villages nearby. If your lucky you will see the Barn Owl as it hunts in the morning and evenings as well as buzzard overhead hares in the field opposite the site and a Kestrel that may sit on a nearby post. A village shop and the Three Pickerels Pub at Mepal two miles away means you don't have to go to bigger towns if all you want is to explore the many footpaths and cycle routes near the site. We went for a weekend and stayed a fortnight the site and area is so nice. Congratulations to Steve problem is it's going to be difficult to improve the site, but I'm sure he's thinking of something right now. A fantastic welcome from Trevor, we were greeted with a jar of home pear chutney on arrival, he waited in the pouring rain for us! We love cycling and there is a quiet back road route in to Ely, which was scenic and rural. We have a dog and enjoyed good walks from site. The bus stop is a five minute walk which took us into Ely on one of our days. Our biggest pleasure was watching the wildlife from our motorhome, a barn owl, and a family of hares. The shower block is immaculate along with bathroom facilities. We had a great stay. Pete, Marina and Martha Dog. Trevor very welcoming & made sure we knew how to access gate & pitch as he wasn’t there to personally greet us. Working farm so other vehicles in the farm as would be expected, but we had a large hard standing to ourselves close to shower & toilet block. Trevor had laid a large artificial grass mat for us to walk on. Easy to get to Ely & local pub in village short walk. Pizzas looked wonderful. Trevor checked all was well & gave us a jar of Sal’s homemade pear chutney - delicious! Directions : From the BP garage roundabout on the A10 at Ely head west on the A142 towards March, after 4.5 miles approaching Witcham toll turn right onto The Slade, Slade Farm is the first on the left before entering the village.